The one complaint iPhone owners generally have is the lack of storage – since there is a vast amount of content on offer, most people’s iPhone memories fills up pretty fast and then, they are forced to delete some of the content. LaCie has unveiled something that will have you leave all those worries behind – the LaCie 1 TB drive is something of a dream come true for all Apple fans. 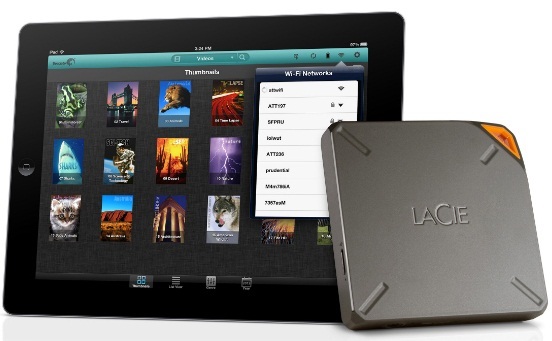 The LaCie 1 TB storage drive has been specially crafted for iPhone and iPad compatibility and can wireless connect with your iPhone or iPad. It also comes with AirPlay mirorring support which will let you stream Apple TV from your TV. It can also connect to five devices simultaneously, USB 3.0, Dropbox integration and is also compatible with Seagate Media app which will help you organize your files easily. Check out this video to find out what it can do. It will start selling in US soon at a price of $199.99.